Welcome to Must Read, where we single out the best stories from around the automotive universe and beyond. Today, we have reports from Speedhunters, Vanity Fair and Anthony Bourdain. 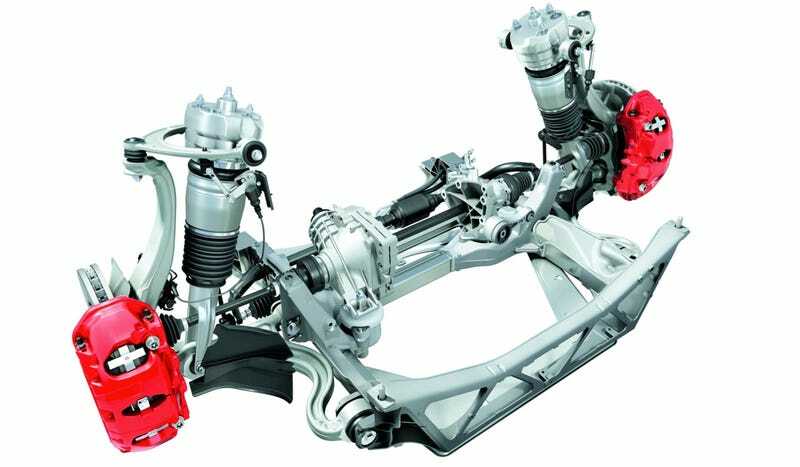 Air suspension doesn't usually fascinate me, but the history of it is rather interesting. After World War II Air Lift founder Claud Pemberton began working on an idea for an air spring that could be installed inside a vehicle's coil spring to boost the load-carrying capacity of nearly any car or truck. By 1949 he was ready to go into business with his new concept, but he didn't know at that time was how much the racing world was going to embrace his idea. Brett Berk takes a look at an exhibit in Atlanta that showcases cars that were very ahead of their time. The show, "Dream Cars: Innovative Design, Visionary Ideas," guest-curated by veteran automotive writer Ken Gross, features 18 radical concept cars—one-of-a-kind or limited-edition models with advanced capabilities—that have helped redefine automotive design. "They're dreams on wheels," says Gross, "each of which represents an interesting idea on the part of a designer who had a vision of what the automobile could be." We buy a lot of Mexican-made cars, too. We throw up our hands and shrug at what happens and what is happening just across the border. Maybe we are embarrassed. Mexico, after all, has always been there for us, to service our darkest needs and desires. Whether it's dress up like fools and get pass-out drunk and sun burned on Spring break in Cancun, throw pesos at strippers in Tijuana, or get toasted on Mexican drugs, we are seldom on our best behavior in Mexico. They have seen many of us at our worst. They know our darkest desires.